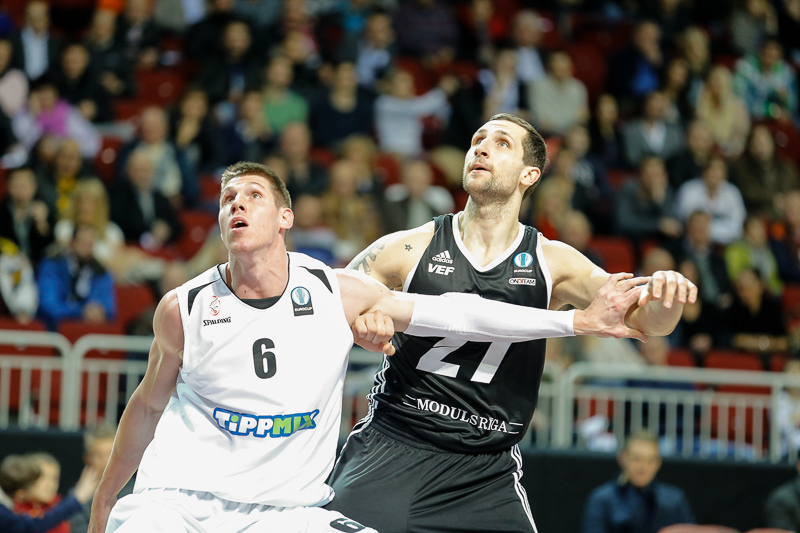 VEF Riga recorded its first Group D victory by defeating Szolnoki O 71-61 in a game it led for nearly the entire night. Gerald Robinson led the way with 19 points, 8 rebounds and 4 assists. VEF took its first double-digit lead in the second quarter, but the visitors rallied to 42-36 at halftime. A similar script followed in the third quarter when 8 straight Olaj points erased a 12-point deficit. 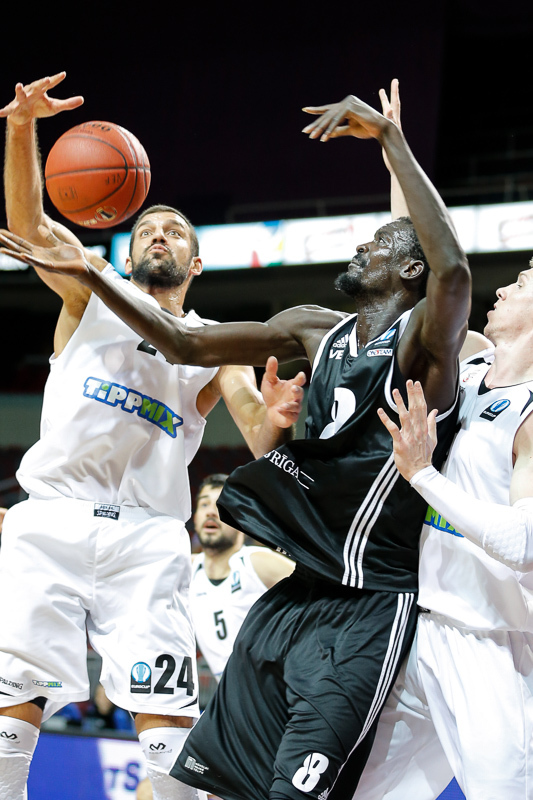 However VEF’s defense denied Olaj in the fourth, holding the visitors to 7 points over the final 10 minutes to claim the win. Bamba Fall added 11 points and Arturs Berzins and Kevin Dillard scored 10 each for the winners. 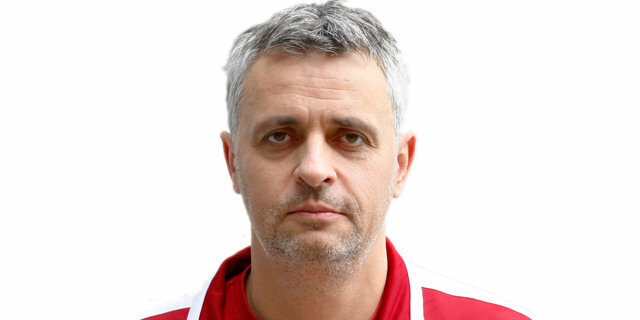 Petar Lorant scored 14 and Stefan Sinovec 13 for Olaj, which fell to 1-1 in the group. A Dillard three gave VEF a 5-2 start and a Berzins follow of his own miss made it 9-4. Marko Brkic connected from downtown for Olaj, but an aggressive Ingus Jakovics helped the hosts race to 16-9 at the end of the opening quarter. Marton Bader’s basket-plus-foul revived Olaj. David Vojvoda and Lazeric Jones set the stage for Lorant to bring the visitors within 20-18. Dillard quickly reestablished a more-comfortable cushion for the home side. Robinson went on to score the next 7 in an 11-2 charge that made it 31-20. Sinovec and Lorent fueled Olaj’s response to get back within 5. VEF settled for a 42-36 lead at the break. Threes by Berzins and Dillard gave VEF at 10-point lead early in the second half. A Robinson triple made it 53-40 midway through the third quarter. The game seemed one-sided until Olaj reeled off 8 unanswered points – 6 on Sinovec threes – to get within 58-54 at the end of the quarter. Neither team scored for the first two minutes of the fourth quarter. VEF Broke the ice through Fall. Sinovec’s bucket proved to be Olaj’s only in the first seven minutes of the stanza as the home team slowly pulled away. Jakovics made it 66-56 and Berzins soon after nailed a three. 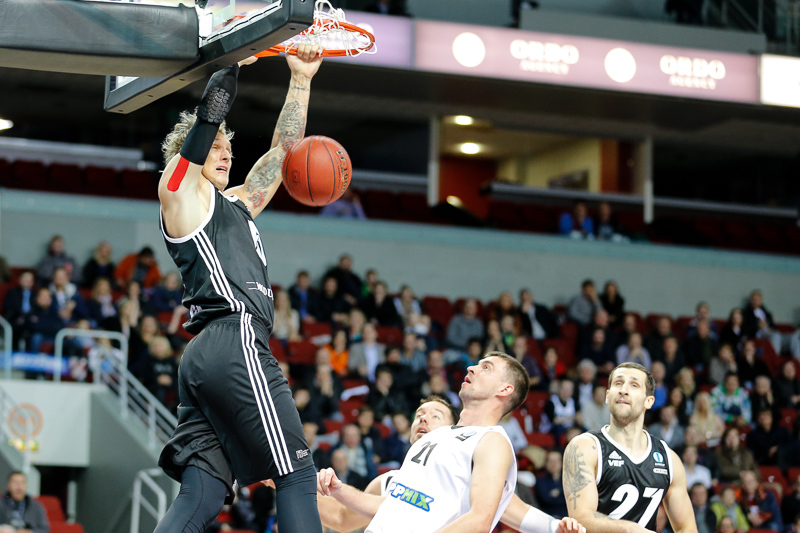 Vojvoda’s three with two minutes left proved to be too little to change anything as VEF held on for the victory. "First of all, it was very valuable win at home. Before this game we had a tough road trip in Moscow Region with two games vs Khimki, so we used a lot of energy there. Today we managed to stop their leaders as we played quality defense. We put a lot of pressure on them and we made it tough for them to move the ball. There's still room for improvement for us as we can play better and more organized on offense. We will work on that. This is a valuable win. Thanks to our players for the job they’ve done." 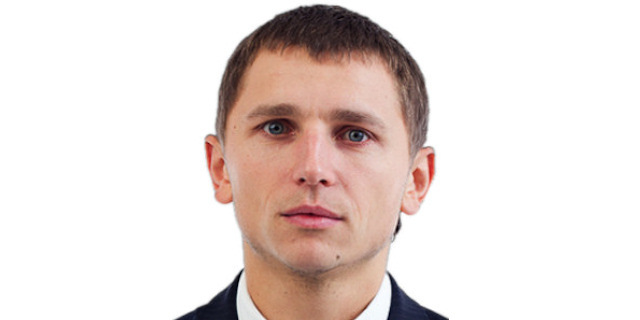 "Congrats to Riga. They played very good, especially on defense. Every time we tried to catch them, they had an answer. We had some problems on offense from the beginning of game. When we needed to score, we couldn't make shots, so in the end they won. As does every team, we have expectations of making the second round, but it will be very difficult as we have some really tough teams in our group." "It was a good game for us. We did a good job defensively and offensively. We did our job today. We put a lot of pressure on their guards and played physically against their big guys. It's definitely a good way to open up the Eurocup with a home win." "We started a little bit bad, we also finished bad. We missed too many free throws and open shots. It was a tough game, too bad we couldn't win. 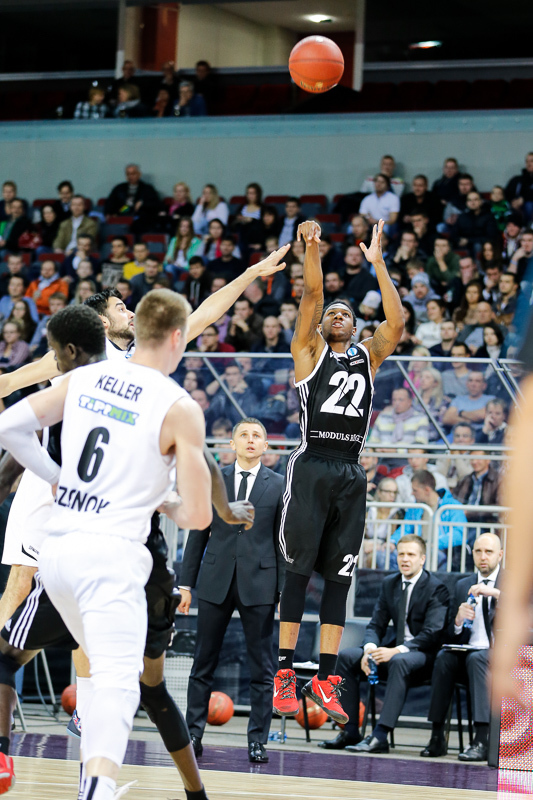 Congrats to VEF Riga."